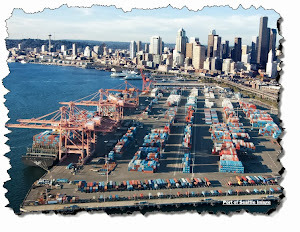 This Blog includes thought leadership, news and pointers to helpful resources related to the rapidly evolving world of global infrastructure security, including physical and cyber concerns ### --- ### These comments and opinions are my own and do not reflect those of my employer or others unless noted. Each January the World Economic Forum (WEF) has a grand meeting in Davos, Switzerland. This meeting brings together the major decision makers and influencers in the world to review the current state of the world and its risks. As a student of infrastructure and security I find this report to offer tremendous insight into the challenges faced by society today. Also, the report includes some excellent graphics to help the reader get a better sense of the interplay between the various risks and what they refer to as "risk constellations." The authors have first established five categories of risk including economic, environmental, geopolitical, societal and technological. 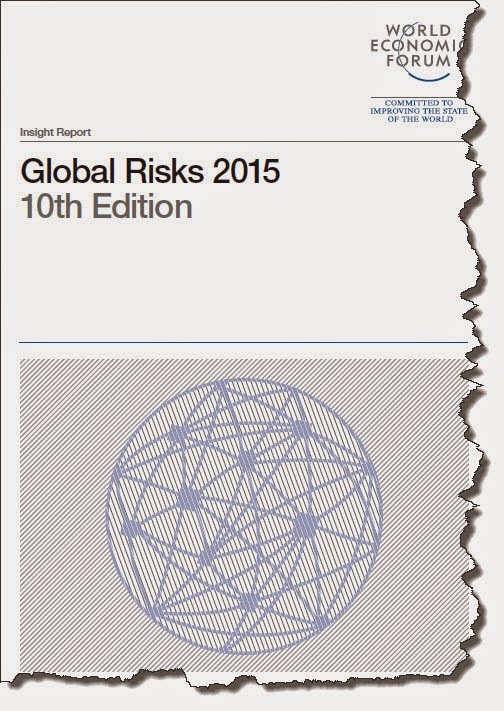 Then, for each category there are a collection of different risks that are graded and assessed. 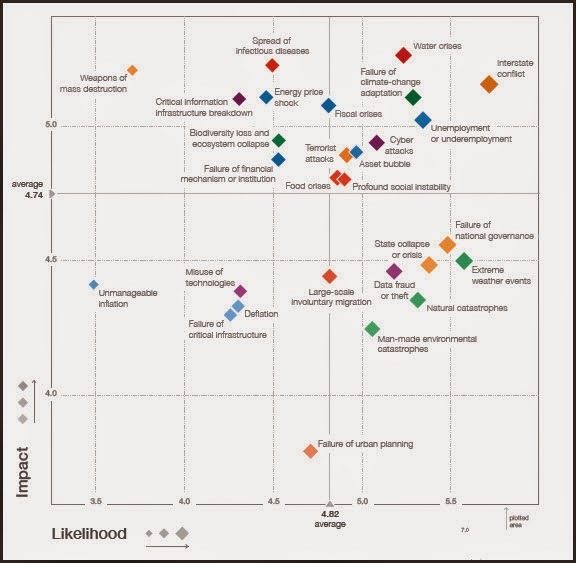 The individual risks are then evaluated on a quadrant (below) assessing the risk's Impact and Likelihood. Then, based on the above mapping/assessment the top 10 risks are determined by Likelihood and Impact as shown in the next graphic. 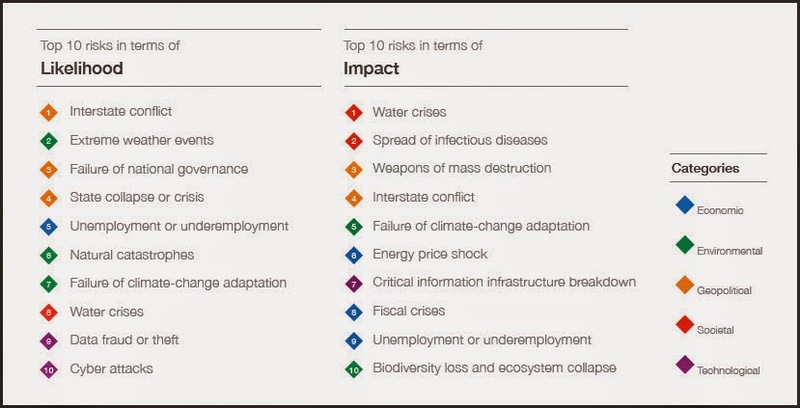 Even though this is a short list, please consider how they are interrelated and how the water crises are aggravated by failure of climate change adaptation which can result in job loss thus unemployment. Overall, I would highly recommend that you review the report and especially get a sense of the risk themes raised and how they impact your profession and personal life. Welcome to the Infrastructure Security Blog! My inspiration comes from my good friend, Mr. Andy Bochman who has led thought leadership in the Smart Grid space with his Smart Grid Security Blog for several years now. (c) 2014 - Attribution respectfully requested.. Simple theme. Theme images by enot-poloskun. Powered by Blogger.